Sennheiser turns to the budget conscious but rockin' bass lovers out there with the HD205-II model. Don't be lured by others who bring it only with bloated, wooly, one-note low-end response. The HD205-II are sealed, mid-sized 'on-ear' headphones delivering textured deep bass that smoothly blends into balanced midranges and clear upper treble, all delivered with Sennheiser's world-class sense of style and build quality. The HD 205-II provides studio-grade detail and frequency response coupled with brilliant shielding of ambient noise. 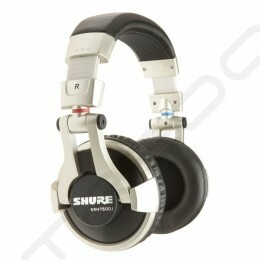 The rotatable ear cup as well as the single-sided cable make them a professional companion for DJ's and home recording. Unlike competitive models, the earcup rotates while maintaining earpad contact on your head for stability and comfort without leaking noise into adjacent microphones. The HD 205-II comes with a convenient protective pouch and locking 1/4" adapter for storage and transportation.